I started out with Henry Miller the (forbidden) writer of erotica. There were the Tropics, Black Spring, Sous Les Toits de Paris, and The Rosy Crucifixion trilogy. Then I started reading his nonfiction, and I began to think more of him, especially with The Colossus of Maroussi (1941), his travel classic about Greece; The Air-Conditioned Nightmare (1945), on his pessimism about America after the War; The Time of the Assassins (1946), an essay on Arthur Rimbaud; and Big Sur and the Oranges of Hieronymous Bosch (1957), about his life in Big Sur. I have just finished reading Remember to Remember (1947), a sequel to The Air-Conditioned Nightmare, which is mostly about artists he has met. 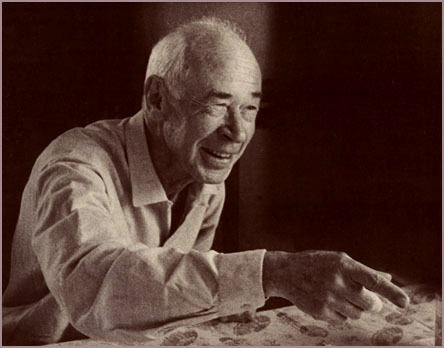 Henry Miller is very much a Jekyll-and-Hyde type of author. He can run off at the mouth for dozens of pages—but then he can zero in a key point in some Buddhist burst of contemplation. And, what I like about him, his instincts are right. His pacifist essay in this book, “Murder the Murderer,” spends some ninety pages telling us that he is against war and killing. All well and good. No burst of contemplation there, though it took balls to be a pacifist in the final days of the Second World War. But then he impales Hollywood poseurs in a brilliant spoof entitled “Astrological Fricasse,” which may be the best short work of fiction he ever wrote. The artists Miller recommends—painters Beauford DeLaney and Abe Rattner and sculptor Beniamino Bufano—are worth closer study. It seems that public opinion has caught up with them, though they were controversial when Miller wrote his book. I will continue to mine Miller for the occasional rich vein that one comes across with no advance warning, particularly in his nonfiction. This entry was posted in art, reading and tagged henry-miller. Bookmark the permalink.